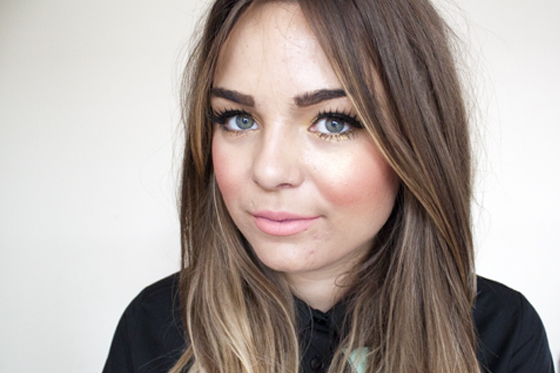 Quickie outfit post today as Im off out to meet my flatmate for a spot of shopping! Today hasn't been my day, I woke up on the wrong side of the bed and everything seems to have gone hopelessly wrong! I bought these collar tips from Asos on a recently little spree, I've never worn them before but I actually think collar tips are pretty fun addition to an all black outfit! Might have to look around for a few more styles! I've posted the New Look Autumn Winter collection over on my ETC blog today as well as the makeup from this post! I've also been trying and trying to upload a video to my Youtube Channel but it won't upload in HD and even when I upload it from the HD video iMovie exports it still looks crappy! So if anyone can help me out with this I'll love you foreverrrr! These collar tips are so great! They make the perfect addition to your outfit! Maybe I'll have to invest in some myself, as they just seem like such an easy way to update shirts that feel a little over worn - love it! Love those collar tips, like you said, it really adds a nice feature to an all-black outfit! 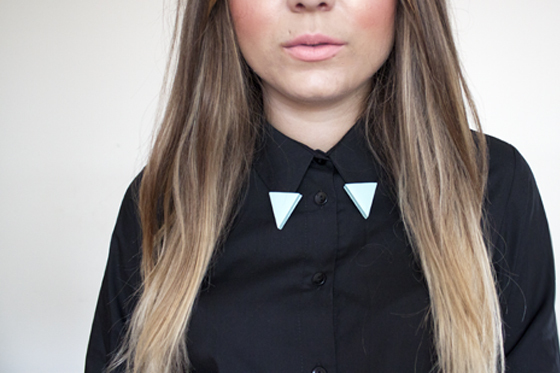 I love the idea of collar tips, and they do look cute - I may have to invest in some! I love your leopard slipper shoes! I love collar tips but have never actually got round to buying any! those collar tips are amazing! i'm in love! 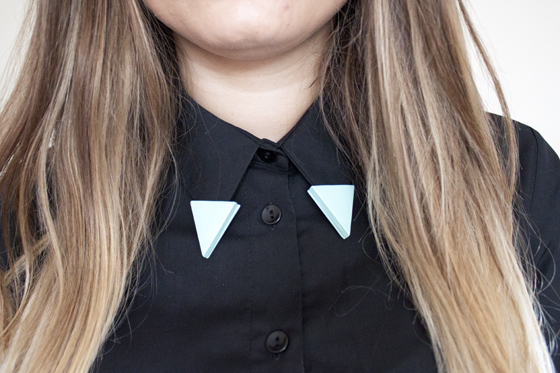 love the collar tips they really brighten up a black outfit. the loafers are lovely too. The collars look great with extra colour! Works well with the all black outfit! those collar tips look so hot!! Ooh, those collar tips look gorgeous against the black shirt! Ah, I'm sorry today was crappy - I very much hope tomorrow is a better day for ya! awh thanks! so far it's been much more productive! I love how this outfit is all black but all items are different textures - it looks so nice! The collar tips are great with this outfit, they stand out, very pretty. 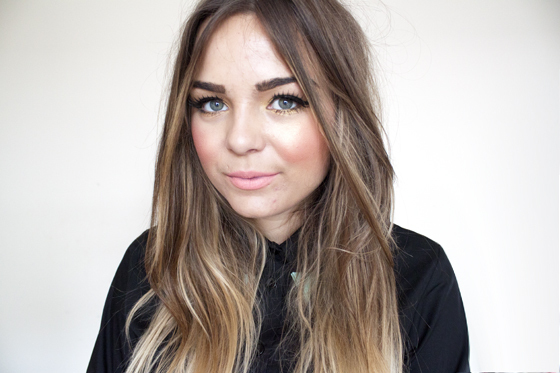 Loving this all black outfit and the pop of colour from the tips! I hope tomorrow is better for you! i know, it was hard to find when it came out and then everyone wanted one! it even went down in the sale to £3 and was snapped up almost immediately! Great outfit and I LOVE your makeup!! So pretty! What is there not to love in this outfit?! I love your tipped collars, your pleated skirt, and your loafers! LOVE IT! so cute & original! Just did a black lace shorts post if you want to check it out! Love your style! yeah its lovely that we get on so well! Lol, off to meet your flatmate. In the kitchen? I love how you can pull off quite eclectic pieces of clothing and still look so classy! I do not share that gift lol:) Love your blog! TOTALLY love this outfit ! I'm a huge fan of all back : ) and the shoes are so cute.